PT Pupuk Iskandar Muda - PIM is a reputable fertilizer and petrochemical company in Indonesia. PIM engaged in integrated fertilized industry which include industry, trading and providing service in fertilizer, petrochemical, and other chemical, and optimizing the utilization of company resources. 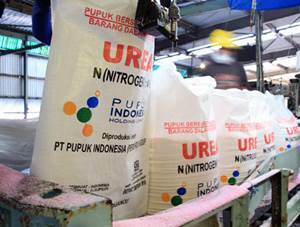 PIM is a member of state-owned fertilizer holding company PT Pupuk Indonesia Holding Company (Persero) or PIHC. At present, 99.99955% of its shares are held by PIHC and 0.00045% remaining shares by Yayasan Kesejahteraan Karyawan PIM. PIM is based in North Aceh and now has 2 plants with total installed annual production capacity of 726,000 tons ammonia and 1,140,000 tons urea. According to PT Pupuk Iskandar Muda Annual Report 2015 as cited by JobsCDC.com, PT Pupuk Iskandar Muda managed to record a total revenue of Rp 3,037.26 billion at the end of 2015 or equal to an increase of around 1.96% compared to the previous year (Rp 2,978.69 billion in 2014). Total comprehensive profit decreased 40.54% from Rp 128.93 billion in 2014 to Rp 76.65 billion in 2015. Electrical Engineering / Electro Engineering (Power Lines). Physics Engineering / Instrumentation Engineering / Electrical Engineering (Electronics). Not under contract with another company. Willing to follow the entire course. Legalized copy of diploma (S1) and transcripts (minimum GPA of 3.00). Maximum age of 27 years old per 31 December 2016 (copy of ID Card). SKCK from the police office. AK1 (Job Seeker) Letter from Disnaker. Certificate of Domicile from village office head. Health, not color blind and free drugs certificate from hospital. Fluent in English both oral and written (TOEFL min. 450). Operating knowledge of MS. Office . JobsCDC.com now available on android device. Download now on Google Play here. Please be aware of recruitment fraud. The entire stage of this selection process is free of charge. PT Pupuk Iskandar Muda - Management Trainee Program Pupuk Indonesia Group December 2016 will never ask for fees or upfront payments for any purposes during the recruitment process such as transportation and accommodation.